Working with leading designers from Hirsch Bedner Associates’ (HBA) Dubai operation, Dernier & Hamlyn has produced beautiful bespoke lighting for the presidential suite at the Four Seasons hotel in Abu Dhabi, which is due to open in Spring 2016. Dernier & Hamlyn manufactured a range of fittings for the suite’s bathrooms, hallways and other areas which includes numerous differently styles ceiling and wall lights. The statement piece of this unique collection is a beautiful chandelier that has been handcast in brass and finished in polished chrome and features hundreds of crystal spheres which will reflect and refract light to the delight of guests staying in this ultra luxury accommodation. 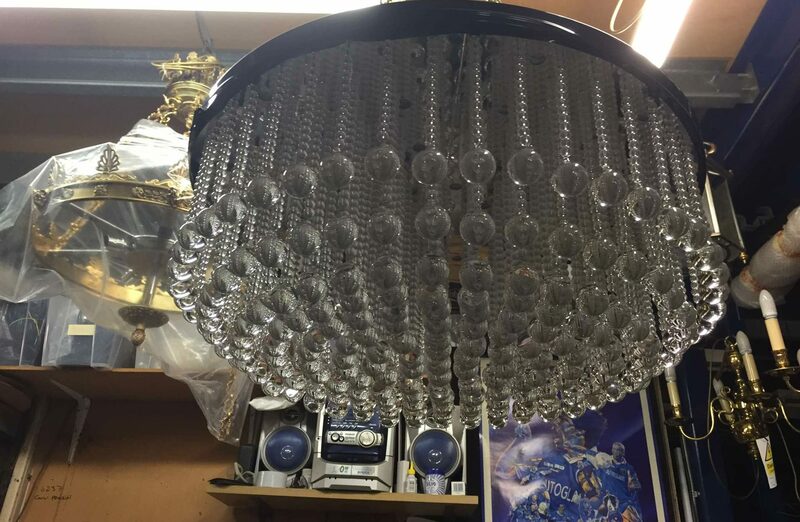 The image shows this magnificent chandelier ready to leave Dernier & Hamlyn’s factory.